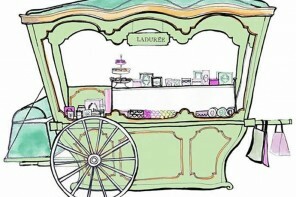 Desserts and jewelry have a few things in common: they’re pretty to look at, fun to buy and everybody wants them. 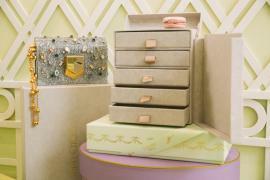 Perhaps that’s what was on jewelry designer Solange Azagury-Partridge’s mind when she joined hands with French confectioner Ladurée to create a signature box of macarons. 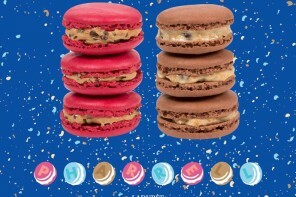 The designer never shies away from using color in her work, attested by a recent Poptails collection, so it’s not a surprise that her collaboration has resulted in a rainbow of macarons. 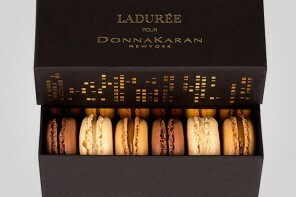 Her signature box contains eight sweet treats, each one a different flavor and color. 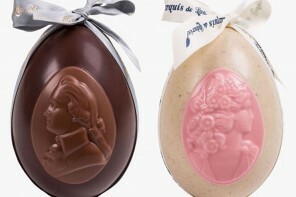 Among these is the ‘Solangette’ macaron, created by Ladurée’s head pastry chef Claire Heitler, which features chocolate shells and a marmalade filling. 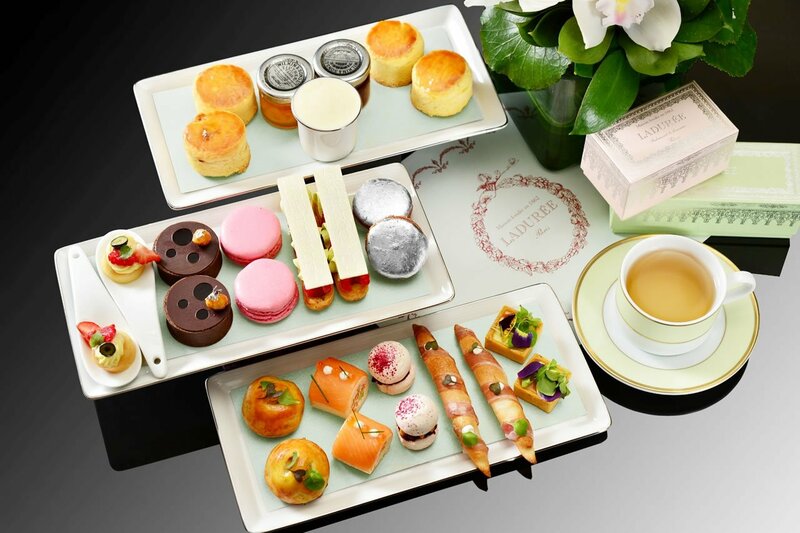 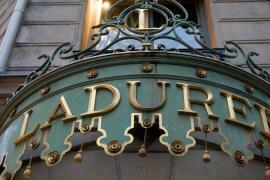 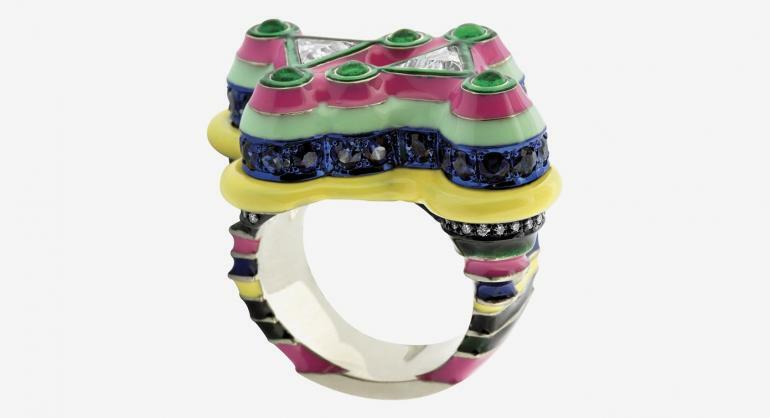 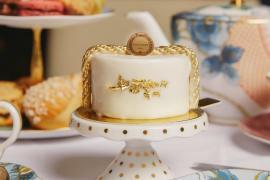 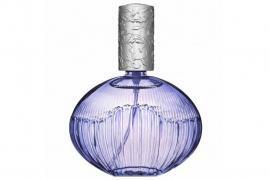 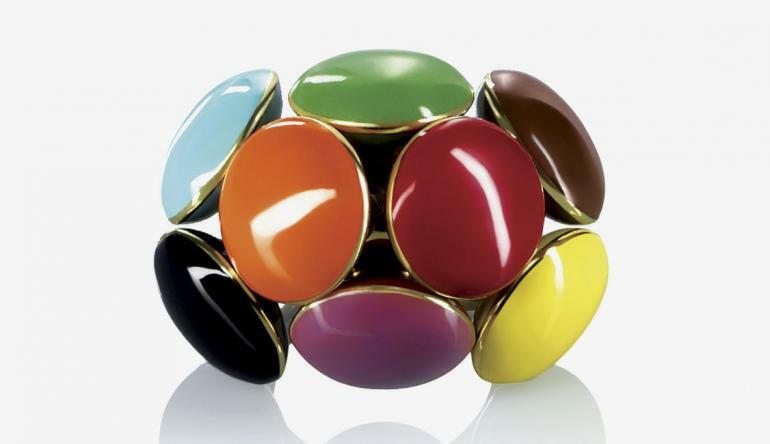 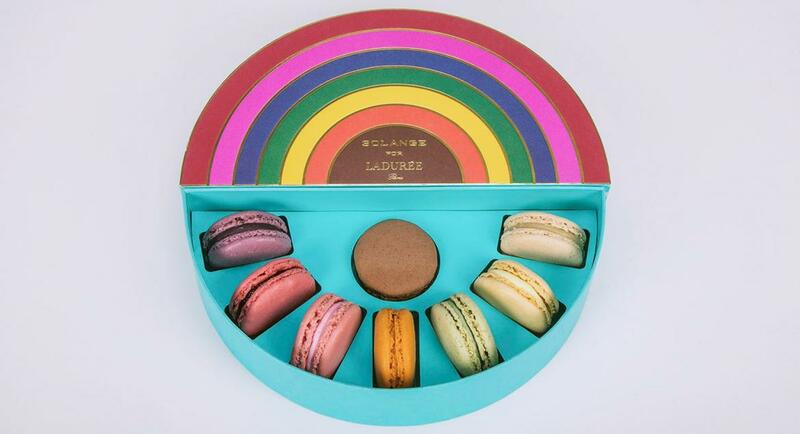 The rainbow shaped box is available for purchase at Ladurée stores in France.